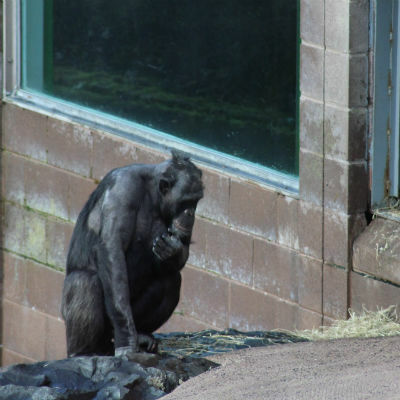 Born Free is shocked to learn that a group of chimpanzees escaped from their enclosure at Belfast Zoo on 9th February, after leaning a tree branch against the wall of their enclosure and climbing out. One chimpanzee was filmed walking in public areas of the zoo, close to visitors. Dr Chris Draper, Born Free's Head of Animal Welfare & Captivity, said: "Chimpanzees are exceptionally dangerous and unpredictable wild animals. It is a wonder that nobody was apparently injured. This incident, once again, calls into question standards at Belfast Zoo, for both animals and visitors. It is time for a serious re-think on the future of this zoo." Following the incident, the zoo has stated that it will review the inclusion of trees within the enclosure. Belfast Zoo, which is operated by Belfast City Council, is believed to cost local council ratepayers considerable sums to maintain and operate. It has seen several recent animal escapes, including a red panda which escaped the zoo grounds and was eventually found a mile away, and a spider monkey which escaped in 2018 and was tragically run down and killed by a car. Born Free supports ongoing calls for an urgent review of safety and animal welfare at the zoo, and has contacted Belfast City Council to express its concern.